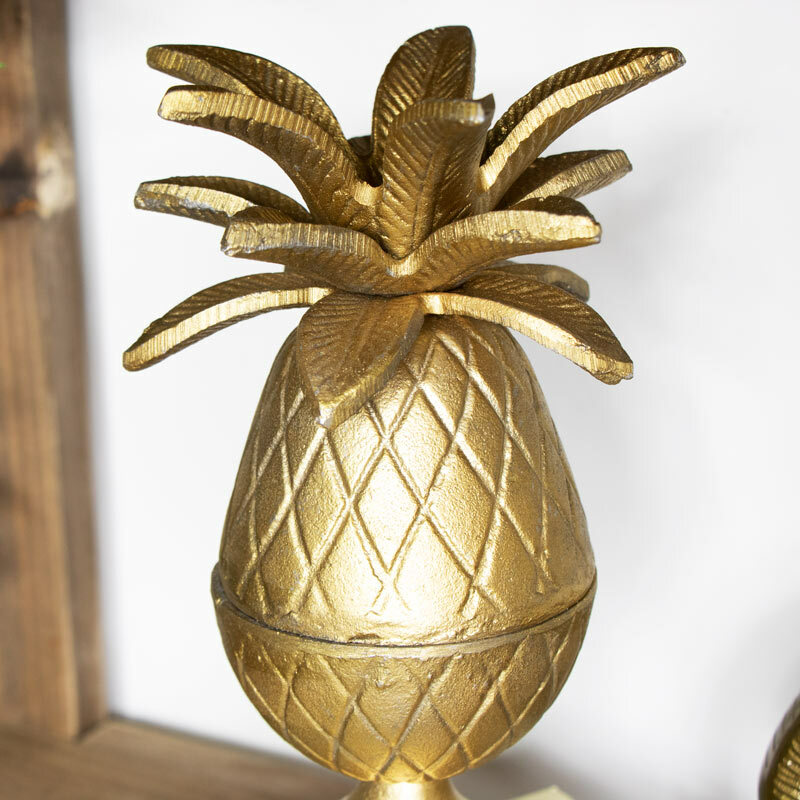 This Gold Pineapple Ornament would add a tropical touch to any home decor. Perfect for lovers of gold decor or glamorous decor, this would look fabulous in a quirky, luxurious or industrial space. Can be used for trinket storage. If you're looking to add a funky tropical look to your home decor, this pineapple ornament will be just perfect. 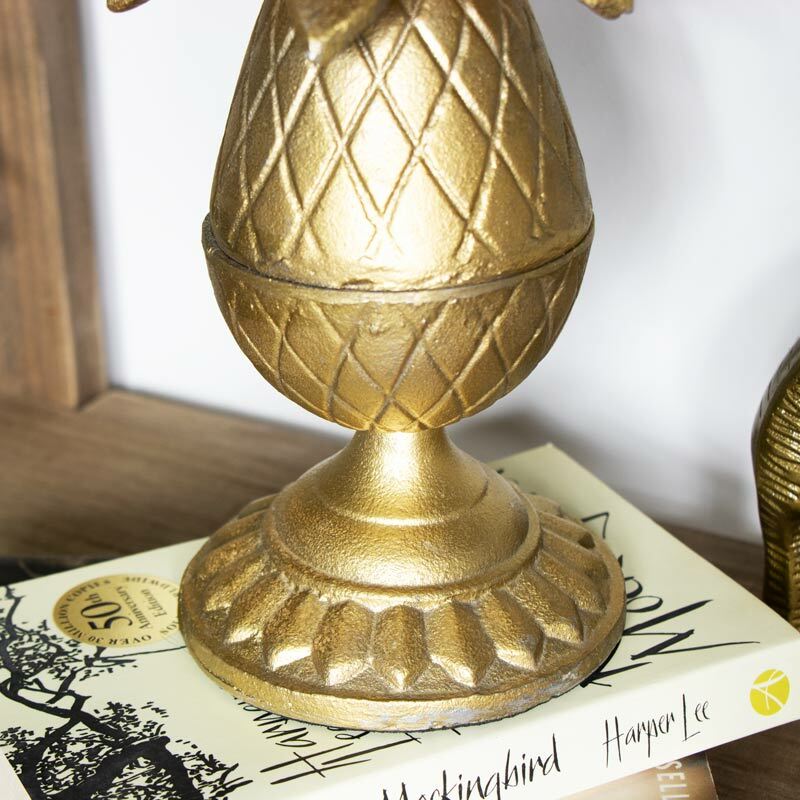 This fun and funky pineapple sits upon an ornate pedestal base. Metallic art deco theme that will add a splash of colour to your decor. 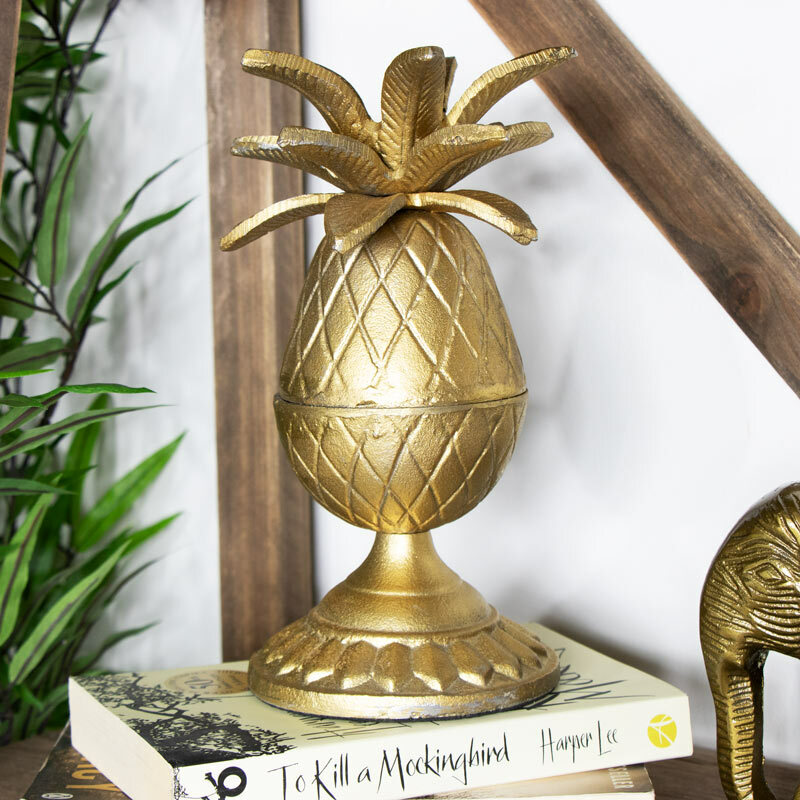 This Gold Pineapple Ornament would add a tropical touch to any home decor. Perfect for lovers of gold decor or glamorous decor, this would look fabulous in a quirky, luxurious or industrial space. Can be used for trinket storage. If you're looking to add a funky tropical look to your home decor, this pineapple ornament will be just perfect. This fun and funky pineapple sits upon an ornate pedestal base. Metallic art deco theme that will add a splash of colour to your decor. Made from metal with a metallic gold finish. This is another addition to our ever growing range of gifts and home accessories. With so many ideas for you to spruce up your decor and add your own personal style.